If your perfect cruise doesn't include buffets and bingo, or boring days at sea on the world's biggest ships, an expedition cruise might be the right fit for you. 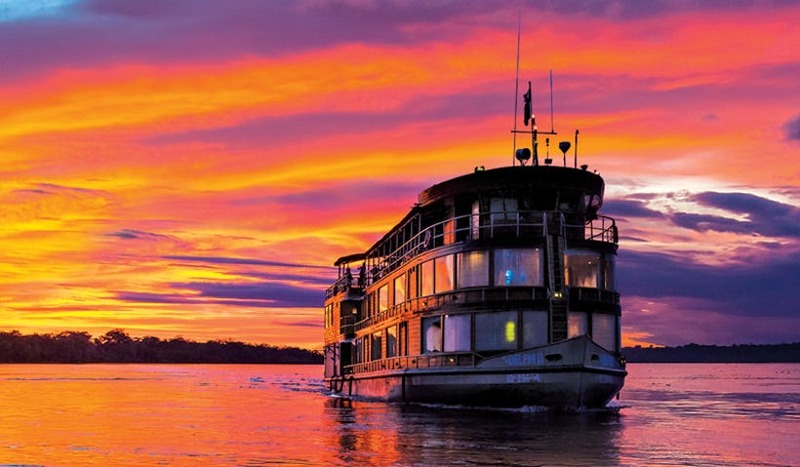 An expedition, or adventure cruise, is nothing like a typical cruise. Surrounded by fellow adventurers and phenomenal vistas, every expedition voyage takes you somewhere special and allows you to experience the world in one of the most immersive, intimate ways possible.Is an expedition cruise right for you? 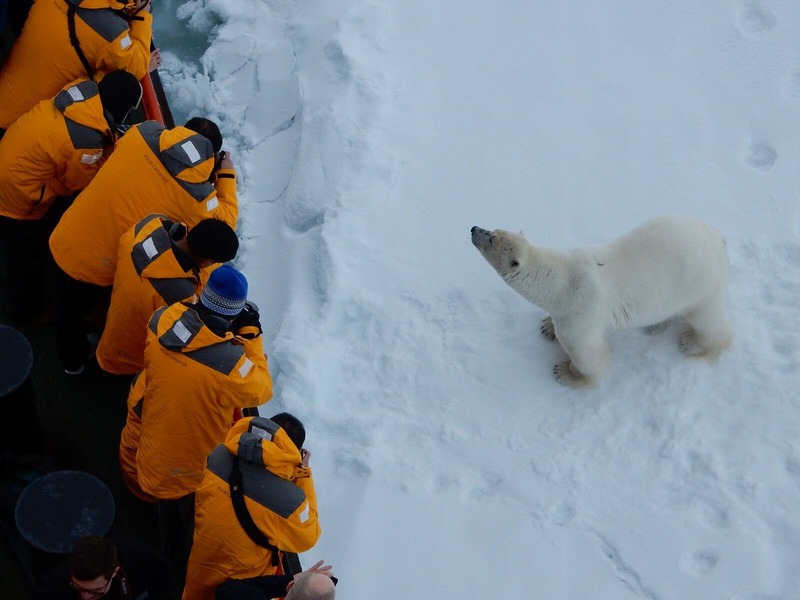 Read on for all the reasons you should give expedition cruising a try. 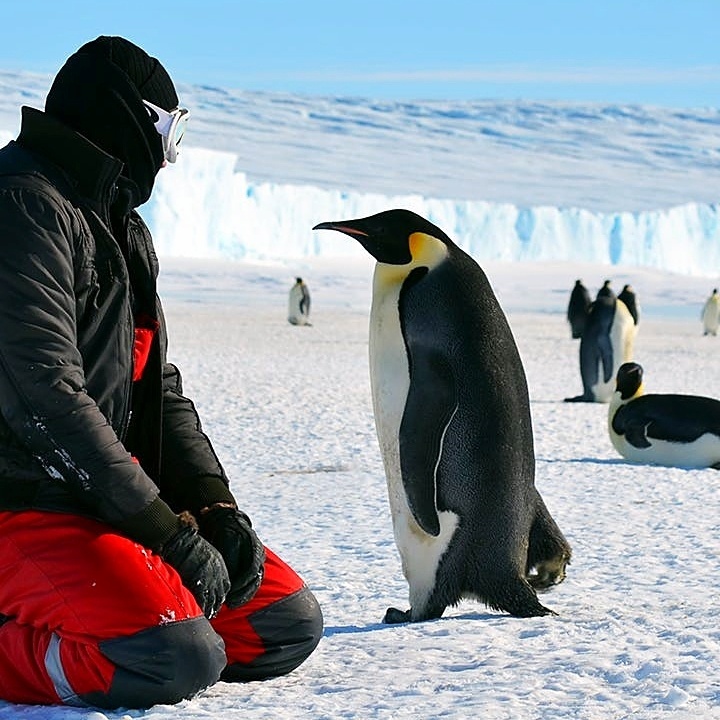 You’ll go beyond every destination and truly be immersed in some of the most rugged, remote places on Earth–Antarctica, the Northwest Passage, the Amazon, Alaska's Northwest Passage, the Galápagos Islands and more–where you can spend the day exploring the wildlife, culture, history and natural habitat of regions most people only dream about visiting. Experience nature's most incredible sites in the Galápagos Islands. True expeditions can't happen on over-the-top mega-ships. 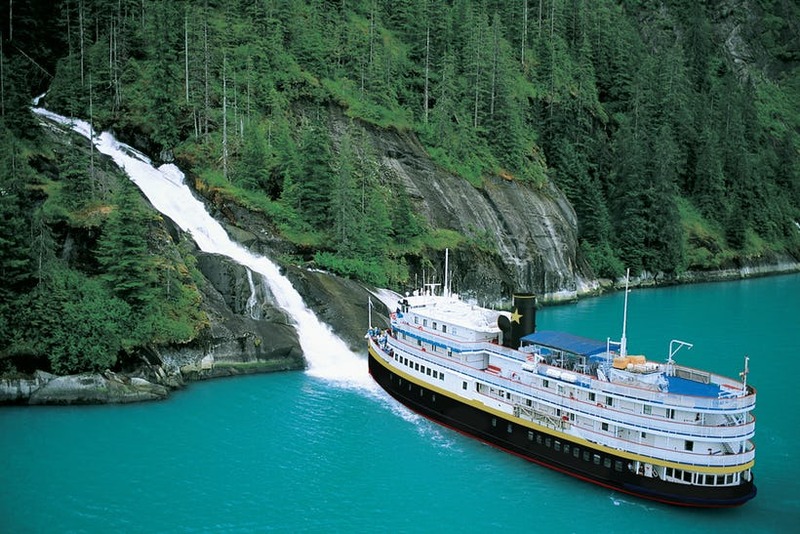 Expedition cruises happen on small-ships that typically hold less than 200 passengers. They focus on one-of-a-kind adventures aboard ships that are specially designed for every region you're exploring. Insider Tip: Perfect for serious scuba divers and snorklers, try Zegrahm's 42-guest Coral Expeditions II. Purpose-built for cruising the Great Barrier reef, it's the ideal size to access the very best dive and snorkel sites in the region. 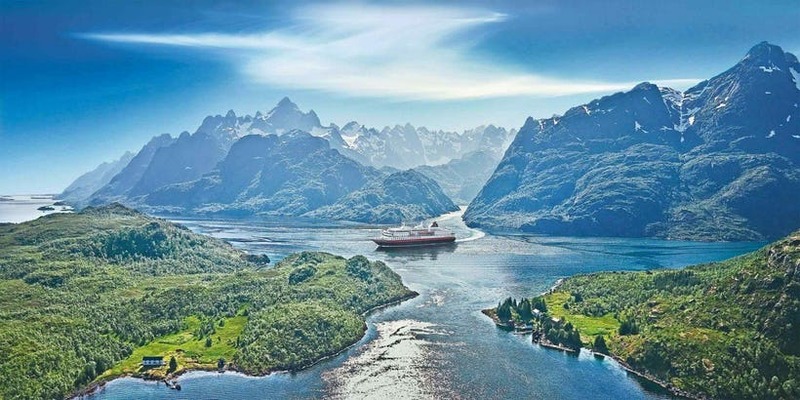 Hurtigruten ships sail into the heart of rugged areas and carefully blend modern facilities with true character. There are expedition ships to fit any level of luxury. But whether you prefer roughing it a bit or would rather be treated like royalty, you'll be packing outerwear instead of formal wear. And after a day in the wilderness, you'll return to a comfortable, climate-controlled ship where you'll be treated like a VIP by a service-minded staff. Lindblad Expedition's fleet has a mix of polar vessels, expedition ships and upscale river boats for exploring remote shorelines. Sometimes, the farthest corners of the earth can only be reached by river or by sea, and an expedition cruise ship can access to off-the-beaten-path ports, get close to the world's most rugged, remote places and dock in unspoiled areas that larger cruise ships can't. 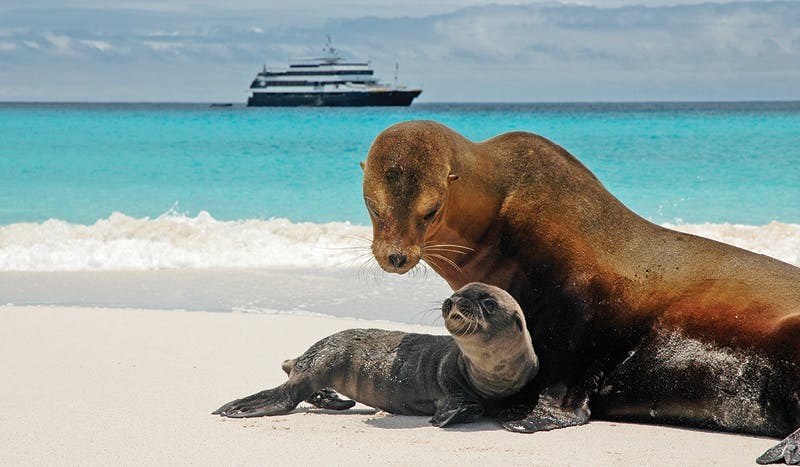 Insider Tip: If you want to see the Galápagos Islands than an expedition cruise is your best bet, as big ships aren't even allowed there due to a 100-passenger limit per vessel. UnCruise Adventures gets you alongside waterfalls, fjords, glaciers and more of the world's most remote places. 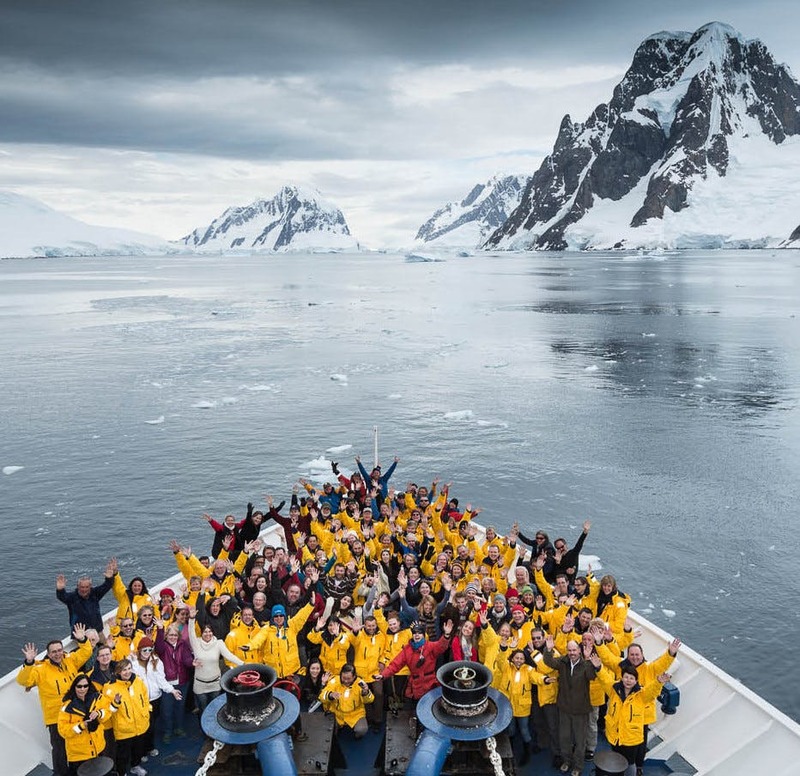 Every adventure cruise features specialists onboard called "Expedition Guides"–naturalists, biologists, oceanographers, scientists, photographers and historians–to give you an experts perspective on the local ecology, culture, history and more. Accompanying you on every shore excursion and afterwards on-ship, these experienced guides are your link to the most pristine, natural places on earth. Quark’s Expedition team members are all polar-passionate, veteran guides with backgrounds in marine biology, history, geology and more. One key part of any expedition cruise is the emphasis on enrichment. Since expedition cruises are led by true experts and destination specialists, you'll be learning every step of your journey. Instead of live shows and nightclubs, evening entertainment often consists of interesting lectures and interactive talks led by these experts to help illuminate what you’ve seen that day. Insider Tip: Photographers love Lindblad Expeditions since they partner with National Geographic, which means certified photo instructors-naturalists are aboard every ship assisting you with camera settings and basics, and to understand wildlife and how to better anticipate animal behavior that leads to great shots. 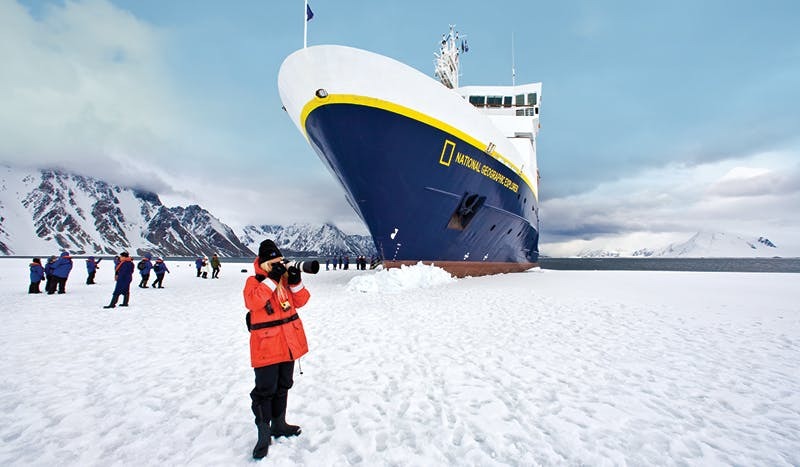 Channel your inner photo-journalist on a Natural Geographic led polar journey with Lindblad. Every expedition voyage is different, and no two adventures are ever the same. These small-ship cruises are more flexible and laid-back, with captains trained to turn the ships around or make unscheduled stops to see a pod of humpback whales, a gorgeous sunset or a once-in-a-lifetime wildlife encounter. Your day's plans may change if there's a pod of whales or a polar bear nearby. 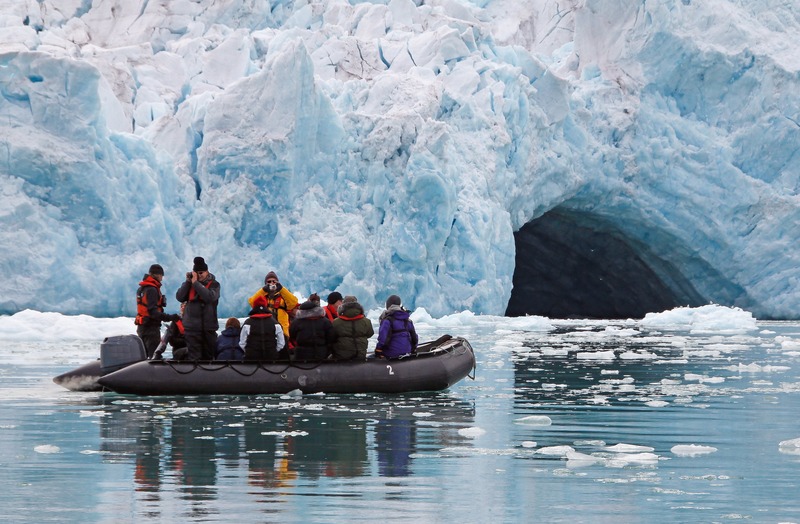 From Zodiac landings on untouched beaches, up-close views of calving glaciers, kayaking and hiking led by actual naturalists, swimming with sea lions, and spectacular views of breaching whales and so much more, expedition cruises are all about being active and adventurous while safely surrounded by nature. Insider Tip: Most lines offer an array of cool gadgets and state-of-the-art equipment to help you explore like a pro–cold-weather or snorkeling gear, binoculars, cameras, etc.–plus some ships come fit with bow cams, hydrophones, video microscopes and more to reveal the wonders of nature all around you! Zodiac boats will transport you to the most rugged and remote parts of every iconic place you visit. 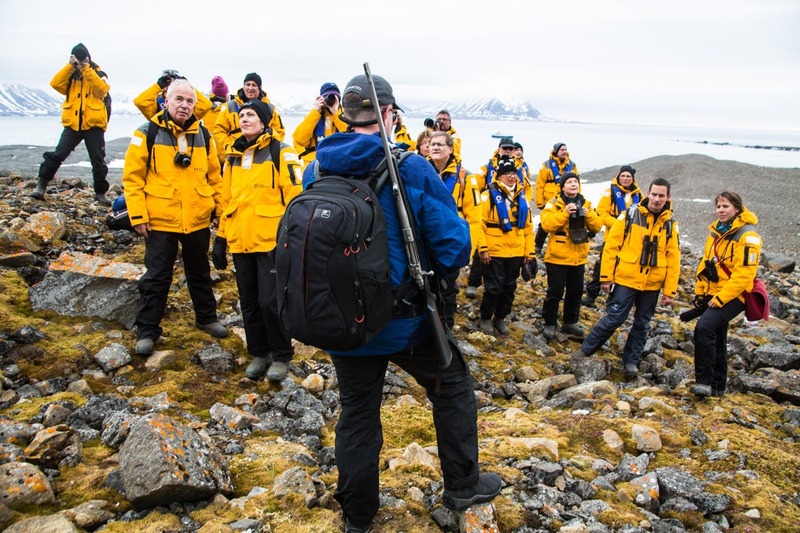 Averaging around 100 guests, there are far fewer people onboard an expedition cruise and your fellow, like-minded passengers are far more interesting and well-traveled than typical cruisers. You'll meet new friends (including the expedition staff and ship's crew) and share the wonder of traveling to amazing places with others who share your passion for adventure. Share an experience unlike any other alongside fellow adventurers and new friends. Expedition cruising is perfect for active adults, thrill-seeking couples, solo travelers and even adventurous families. Accommodations and activities may vary by cruise line, but while exploring on shore, passengers are usually divided up into smaller groups based on fitness level, family size or your favorite interest. Insider Tip: In the Arctic, if you're a fitness-focused traveler you may take off on a rigorous glacier hike or heartier kayak outing, whereas if you prefer taking it easy you may opt for a more leisurely, naturalist-led walk along a shoreline to search the tide-pools or look for rare birds. Small-ship cruising doesn't mean having to choose between elegance and exploration. Most expedition cruise lines offer all the creature comforts, from delicious, locally sourced dining options to large observation decks to decadent staterooms with all the latest creature comforts. Some vessels even have spas, gyms, libraries, hot tubs and internet cafés. 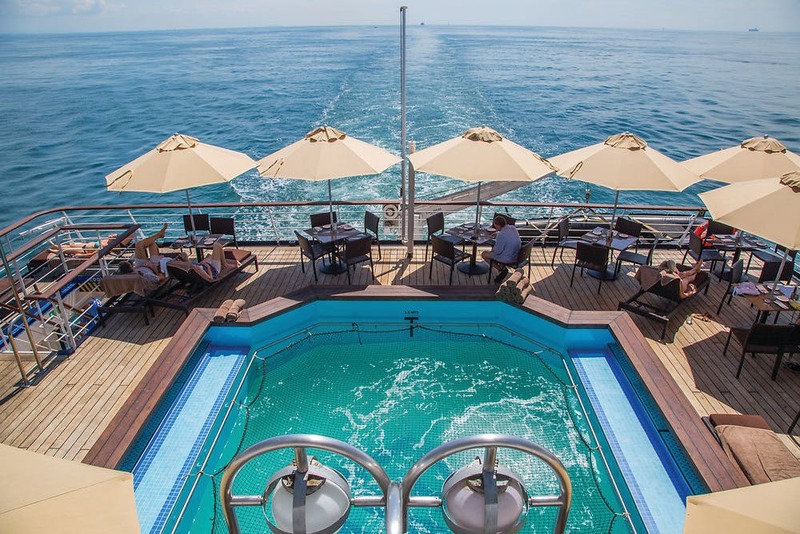 Silversea's Silver Discoverer is one of the most luxurious expedition ships anywhere. From seeing polar bears in the Arctic Circle to walking with the penguins in Antarctica to photographing the Blue Footed Booby in the Galápagos, up-close-and-personal encounters with wildlife in its natural environment is what makes expedition cruising so special. Nowhere else can you have dinner under the Northern Lights, hike along an ancient glacier or walk "the bird island" in the footsteps of Darwin himself. Have your own march of the penguins with Lindblad Expeditions. There are several incredible expedition-focused cruise lines we recommend, each with their own expertise, exploration focus and variety of experiences onboard and at sea. Our CruiseInsider experts will help you answer any adventure cruise questions and help you select the perfect expedition cruise. Speak to an advisor today at (877) 734-6858 to plan your own authentic cruise adventure.